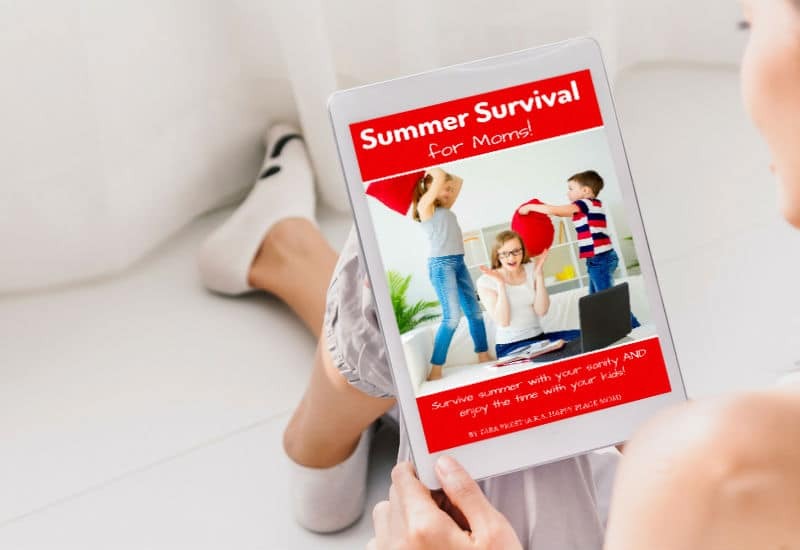 Preview: Summer survival for moms who are feeling extra stressed with the kids home on summer break! 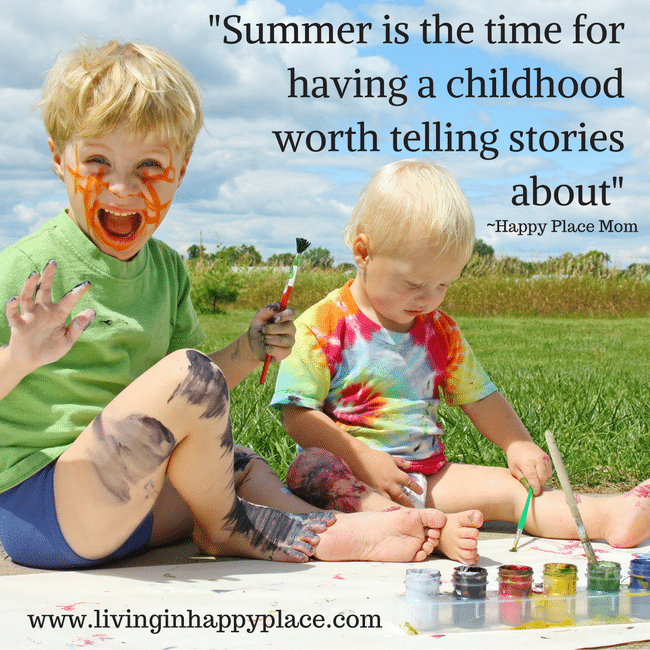 We only have 18 summers with our kids so let’s make the most of each one! Summer break can be extra stressful but with a few tools and tricks, you can have an amazing, low-stress summer with your kids! Summer is exhausting. It’s hot. The kids are excited. Then they are bored. You spend half the day trying to entertain them and the other half cleaning up after them. Have a routine– Your family had a routine while school was in session so you can have a modified routine for the summer. Summer break doesn’t have to be a free-for-all. Get up, have breakfast, do reading time, outside time, lunch, pool/water play, nap….. Whatever works best for your family. You don’t have to keep a rigorous schedule but following a routine helps everyone know what is expected of them. 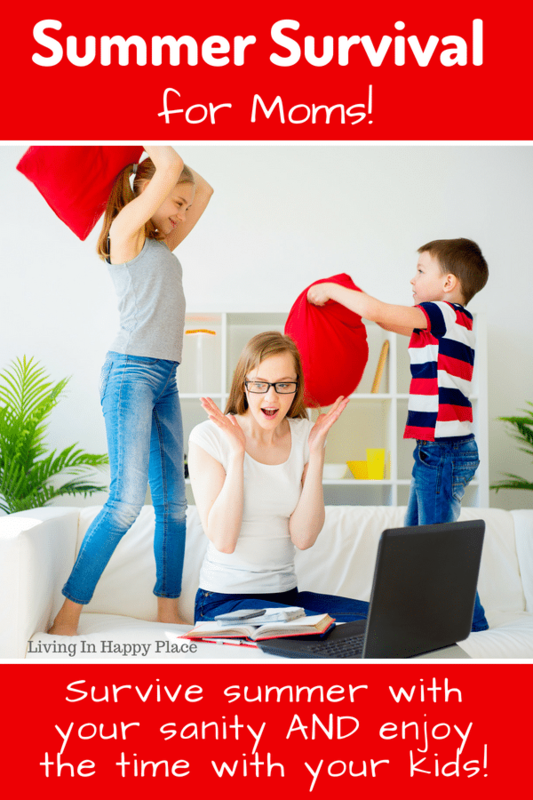 Let them love Mom!– Planning some Mommy and Me time is a great way for the kids to get the attention they need from you in a structured way instead of following you around all day. If possible, set aside an hour (or even half an hour) each day to spend some dedicated time bonding with the kids. You could even make an Activity Idea Jar and pick one thing to do together each day. This can “fill their mom bucket” and allow them to play freely without needing constant attention. Let them be little– Childhood memories are priceless. Reminiscing over these times and experiences will bring a warmth to their hearts for the rest of their lives. “Remember that time when we were little”… stories will be told in college, in wedding speeches, to their own children, and truly even to their grandchildren…. Read 4 more tips and get many other tools to help you have a summer your kids will remember in the book: Summer Survival! We only have about 18 summers with our kids. 18 summers to blow bubbles, make obstacle courses, and watch fireworks. Then they become adults with their own set of priorities and independence. 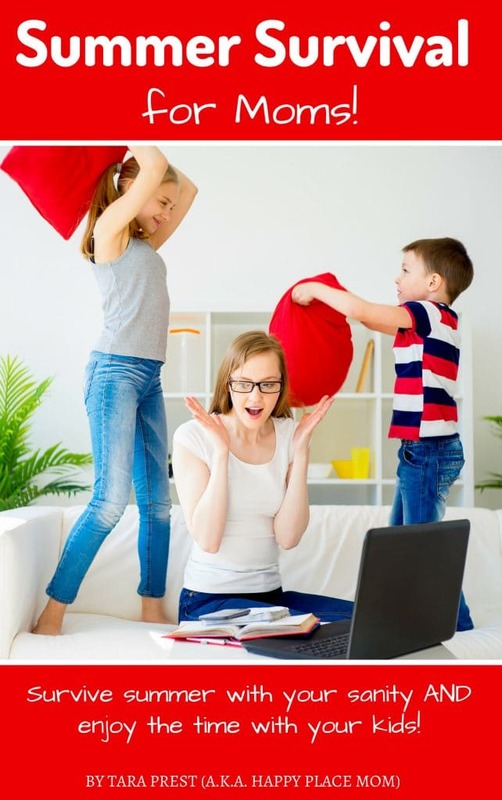 Instead of spending summer break counting down the days until school starts again, try these tips to survive the summer with your sanity intact! I have been working for over a year to bring you this book. I truly want moms to have the happiest life possible with their kids. I know sometimes summers can be more stress than fun and I want to help change that. I thought about the things that cause stress over the summer and broke them out into three sections: (1) still having to run a household while the kids are home all day (2) keeping the kids busy to avoid the constant “I’m bored” whining (3) making the most of the 18 short summers we have with our kids and focusing on a fun family summer. Use the code “happy summer: to get 15% off your entire order at checkout! 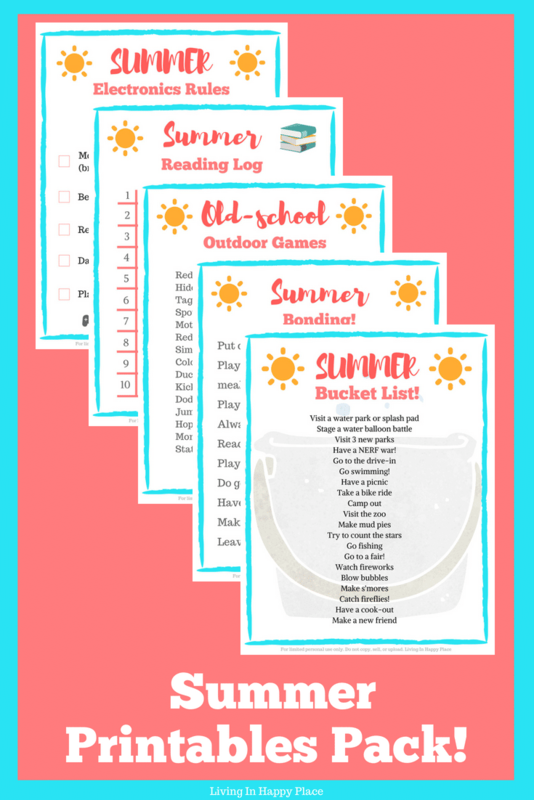 I also created a pack of summer printables to help keep everyone organized, know what they need to do, and keep busy doing constructive, fun activities. – “Old-School” Outdoor Games for kids- Print this list of 30 backyard games and hang it on the fridge to get the kids outside and to pass on traditions like tag and red rover! Using these 2 tools together (the ebook and the printables) can help you have an amazing summer full of memories without arguing over electronics or having to hear “I’m bored” every 15 minutes. Fun, family, and memories make for the best summer ever! Don’t forget to Pin this for when you are feeling summer stress or share it with a friend who could use some tips on summer survival for mom!